Join us at our next Pub Night! Everyone is welcome whether you are a member or not. 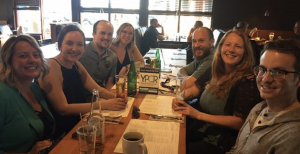 These casual settings are great for people who are interested in the YPCR to get a feel for the organization. Please RSVP so we know how many seats to save! Send a quick email to rsvp@ypcampbellriver.com with "I'll be there!"